When shopping for a used car, you have two options: regular used vehicles and certified pre-owned vehicles. But how are used cars certified? In order for a used car to be certified, it must go through a multi-point inspection. Honda vehicles, for example, undergo a 182-point inspection. A CPO car must have less than 80,000 miles, be less than 6 years old, and have no record of damage. Everything will checked, from the tires and the engine to the wiper blades, the seats, the brakes, and the technology. CPO vehicles also come with a warranty, while used vehicles typically do not. Honda vehicles come with a 7-year/100,000-mile limited powertrain warranty and a minimum 1-year/12,000-mile non-powertrain warranty. They sometimes also come with extras, such as free roadside assistance, complimentary loaners, or free maintenance. 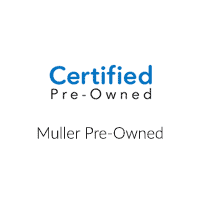 Certified pre-owned vehicles are also seen as less of a risk, since you get a detailed report and the warranty. Now that we’ve answered, “How are used cars certified?”, does a CPO car sound like the right choice for you? Explore our certified pre-owned cars for sale online, then visit our showroom near Gurnee for some test drives. 0 comment(s) so far on How Are Used Cars Certified?